I didn't have a PR for this race by any means but it was still fun and I ended up taking third in my age group which is the FIRST time I have won hardware (a blue mug) at ANY race. I ran the first mile at a 6:45 pace and then slowed down considerably from there. The weather was near perfect although it did get a little hot just after mile 2. 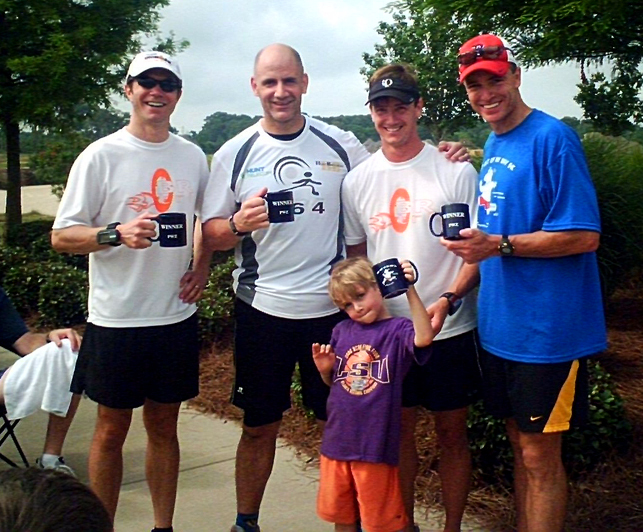 BR Tri raking in the gear at the Get Out of My Way 5K in Zachary. I guess everyone was a winner because I took home 3rd place in my age group. The prize? 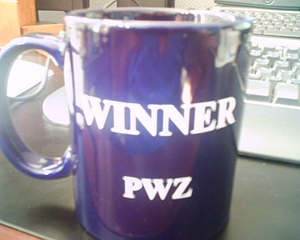 A cool blue mug that I will treasure forever as my first 'win'.